Paper-saving tip: Copy the Fluency Builder activity once per lesson and place under page protectors. Have students complete the challenges with dry-erase markers. When finished, collect and store until the following day. 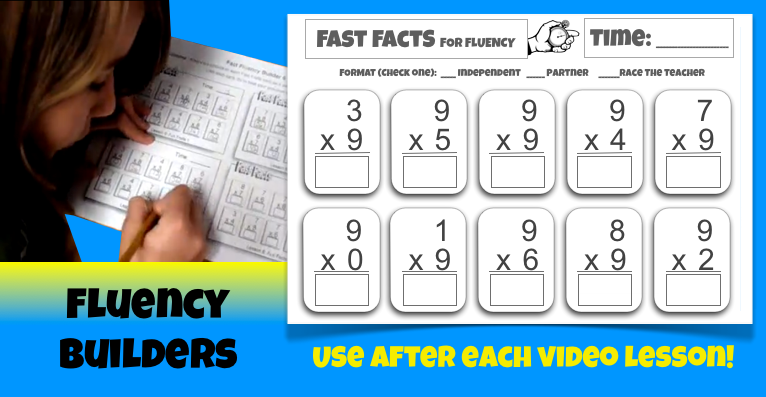 Fluency Builders accompany both the Addition/Subtraction and Multiplication/Division lessons. 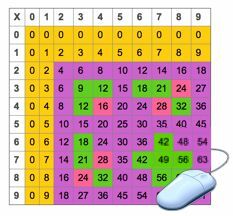 This video shows students completing a Multiplication Fluency Builder as a partner activity, however, students also love doing this in a “Race the Teacher” format. Beginning with Challenge #1, allow a 10-second head start, then 5-second, then 3-second, then tell students the race is on for Challenge #4…kids against teacher! Watch your students’ excitement and motivation increase as the try to beat their teacher!